Wellness is expansive – it’s not a number on the scale or a cholesterol level. It’s multi-dimensional. It’s mind, body, and soul. Wellness is integral to living a balanced, healthy, happy life. We want to make sure everyone in our community has the tools and resources to be well. 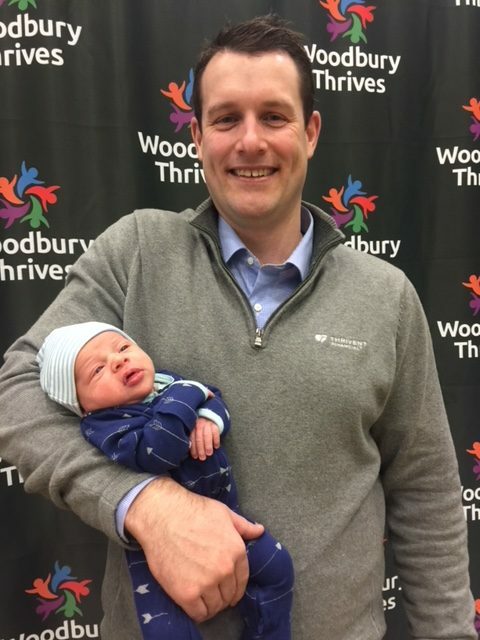 Join us for the FREE Woodbury Thrives Wellness Challenge! This Spring & Summer, join us and explore Woodbury! Wander our parks & trails, shop at the Farmer’s Market, connect with neighbors & friends, try new activities, and explore our city’s wellness resources! 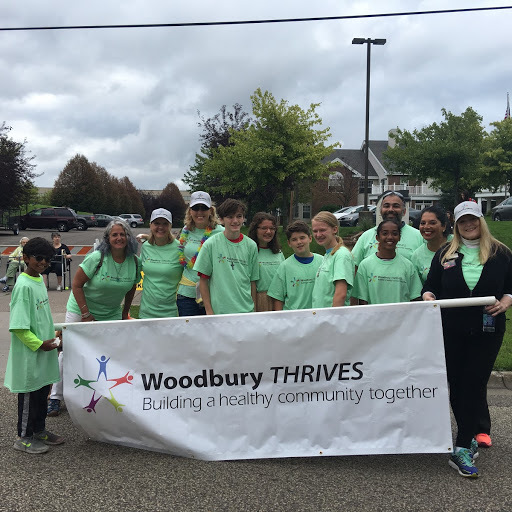 The Woodbury Thrives Wellness Challenge will give you tips and resources to explore all dimensions of health and wellness. The cost to enter the challenge is FREE, as is the cost to complete most challenges. Come join your neighbors and friends and have fun in our summer of wellness! Everyone in your family can take part – no one is too big or too small! You’ll get emails with health and wellness tips and a calendar so you can see all the health and wellness activities in our community. Do you need wellness ideas? Are you looking for a calendar of wellness activities? Do you have an event you’d like to add to the Community Calendar? Click here. Join us for our FREE kickoff event on Saturday, April 27 from 9:30 – 11:30 at HealthEast Sports Center! We’ll have fun for the whole family – an obstacle course, a DJ, dance party, gaga ball, pickleball, human bingo, food trucks, and other fun wellness activities. Local businesses and non-profits will be on hand to show you how you can live healthier. We’ll kick off with “Walk a Mile with the Mayor” – a walk with Mayor Anne Burt. 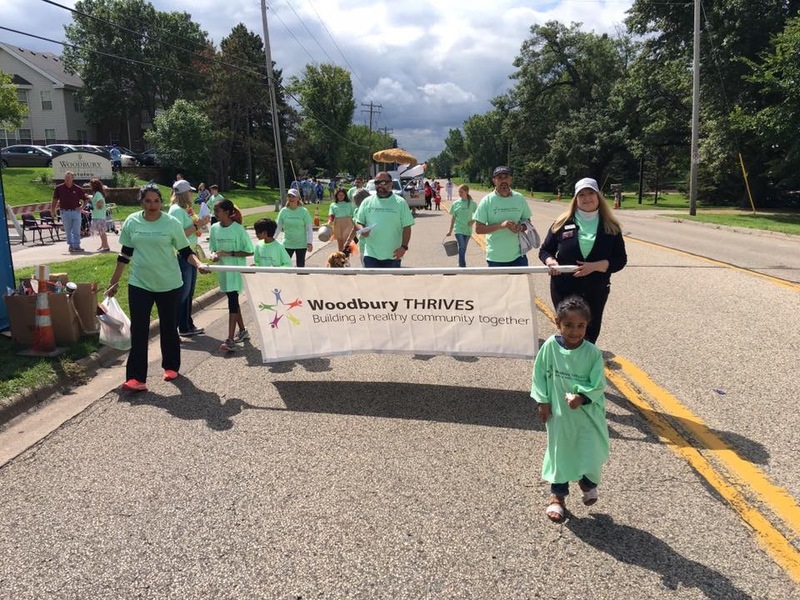 Learn more about the resources that make Woodbury a great place to live, work, and play! Get moving! Improve your mental well-being! Connect with your neighbors and make new friends! Cost: FREE to all attendees! Join us for the first annual Woodbury Thrives Golf Tournament, hosted by X-GOLF! It’s a unique community fundraiser for Woodbury Thrives where you and a partner can enjoy 18 holes of golf at one of X-GOLF’s simulators and lunch for $50 per person! When: Saturday, June 29 at 8 a.m. or 1 p.m.
Want to view our previous newsletters? Click here! To earn your FREE t-shirt and be eligible for the prize drawing, you need to complete 20 wellness activities over the course of the challenge. You can either fill out this form online or download the form here and turn it into one of our collection spots. Online Form or Download Here.